"We have just returned from a wonderful holiday in Sardinia. The apartment was very clean and catered for our every need and the owners couldn''t have been more helpful - they really went out of their way to make sure everything was OK. 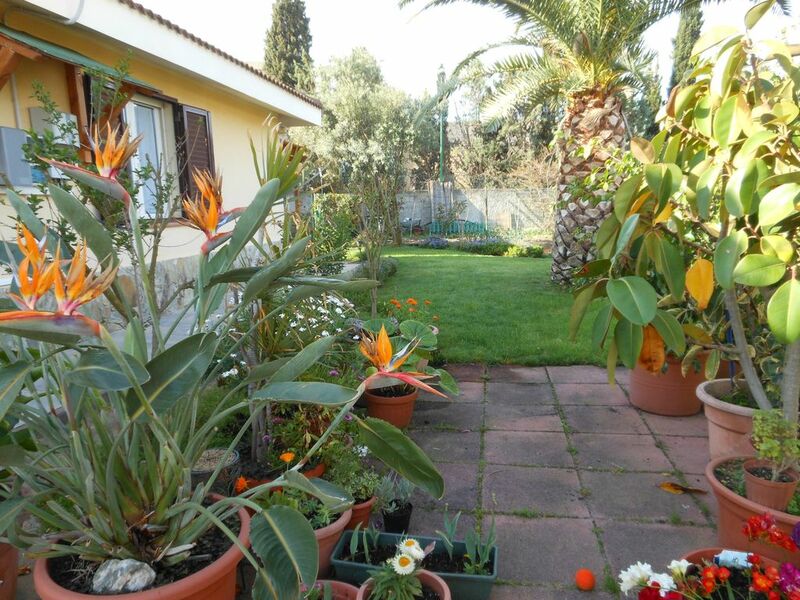 The location of the apartment was ideal for visiting numerous excellent beaches both to the west and east of Cagliari and Cagliari itself was only 15-20 minutes away by car. We found the nearby supermarkets and great pizzeria a real boon at the end of a long day at the beach." "Nice and comfortable apartment in good location, clean and quiet. Charming and hospitable, but absolutely convenient owners. We were very satisfied with our stay, thank you Mr Antonio and Mrs Pina!" "The appartment was impeccably clean on arrival and as we arrived late, Antonio and Pina had put some nice food and wine for us. We really appreciated the gesture. The accommodation was specious for the three of us and well-equipped although there was no DVD player as indicated in the advert. There are some nice views over the hills from the balcony but the area itself is not very industrial and you really need to rent a car to go to the nice beaches and discover the amazing history and landscapes of the island. The owners made our stay very special by always being friendly, helpful and spoiling us with treats! Overall, a nice place to stay." "Very nice place and very clean." Die Wohnung liegt in einer ruhigen Gegend. Die Wohnung war absolut sauber und in einem sehr guten Zustand. Die Küche ist top ausgestattet.es ist eigentlich alles da, was man zum Wohnen braucht. Im Garten ist eine wunderschöne Terrasse mit Pavillon und Grill. Wir haben sie leider nicht genutzt, da wir ausserhalb gegessen haben.Die Eigentümer Antonio und Pina sind sehr herzlich und absolut hilfsbereit. Wir haben uns dort sehr wohl gefühlt.Zum Strand sind es mit dem Auto 5 Minuten. In der Umgebung zwischen 20-30 minütigen Autofahrt gibt es wunderschöne Strände. Den Chia Strand können wir wärmsten weiter empfehlen, dieser ist jedoch 40 Minuten Autofahrt von der Wohnung entfehrnt. Ist aber absolut lohnens -und sehenswert. Im Grossen und Ganzen können wir die Wohnung absolut weiter empfehlen. Grazie per le belle parole, anche voi e i ragazzi siete stati gentili e molto simpatici. Un ringraziamento speciale per come avete lasciato l'appartamento perfettamente in ordine e pulito. Se un giorno venite in Sardegna sarà un piacere rivedervi. Gemütlich. Auch der Grillplatz am Haus war sehr nett. Wir haben uns in der Wohnung sehr wohl gefühlt. Man muss aber ein Auto haben, fussläufig ist da leider nichts zu machen. Die Strände in naher Umgebung sind vorhanden , aber die ein wenig weiter weg sind, ca 30 min fahrt sind deutlich schöner. Da man aber eh ein pkw braucht macht das nichts. Kann die Wohnung und die netten Vermieter sehr empfehlen. Er hatte immer gute tips . Ti ringrazio per le belle parole, purtroppo nel periodo delle tue vacanze si sono verificati lavori stradali, altrimenti oltre la spiaggia di La Maddalena a soli 1,5 Km. si possono fare non più 15 km. per avere una bellissima spiaggia.